We love Christmas canapés! Although I'm sure you've already noticed that, right? We always really enjoy all your recipes (all year round!) But this time of the year is particularly special. To give you an idea, every time we receive a recipe for our traditional Christmas canapés contest, we begin to hum it to the tune of a carol! 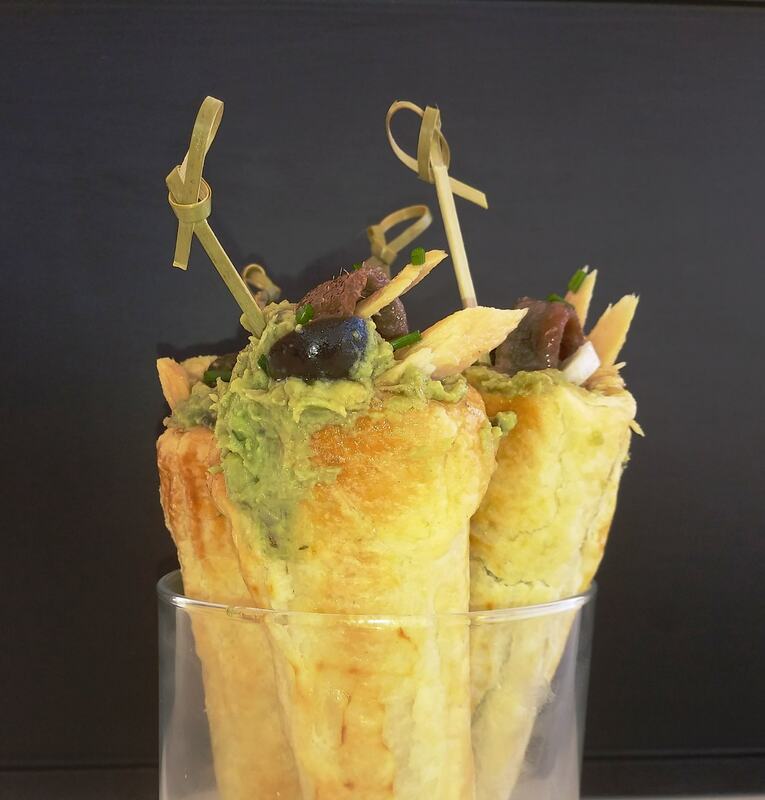 Tuna belly-with-avocado, rum-pum-pum, and-anchovies-in-pastry, rum-pum-pum. 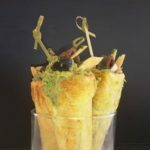 But it’s time we stop singing and tell you about Margarita’s recipe from the blog, Entre amigos: puff pastry horns stuffed with avocado, Cantabrian anchovies and White Tuna belly. To make the horns, cut the puff pastry sheet into strips and line the moulds (smeared with a little olive oil) with them. Place them on a baking tray and brush them with beaten egg. Cook them in a preheated oven at 190º until they turn golden brown. Peel the avocado and in a bowl crush the pulp with a fork until is pureed. Sprinkle with lemon so that it doesn’t darken. Add onions, dried tomatoes, anchovies and black olives, all chopped finely. Add two tablespoons of fresh cheese and season with a little oil from the anchovies. Check salt and season with freshly ground pepper. Fill the horns with this mixture. In the upper part of the horns, add some White Tuna belly flakes and some pieces of Cantabrian anchovies. Delicious snacks with two jewels from the sea! Thank you, Margarita! White Tuna (Albacore) fillets “Ventresca” (Belly) carefully selected by “Serrats” Preserves, in olive oil.